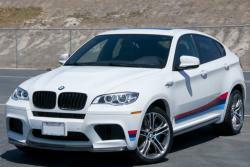 Bayerische Motoren Werke AG is known to be a multi-brand vehicle manufacturer that mainly focuses on the top sections of the international vehicle and motorcycle markets. 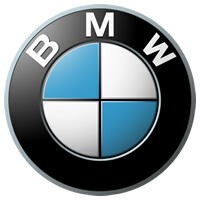 BMW was established in Munich, Germany in the year 1916 as "Bayerishce Flugzeugwerke AG" (BFW). In the year 1917, Bayerische Motoren Werke GmbH was invented. In English Bayerishe Motoren Werke GmbH is also known as Bavarian Motor Works. BMW, a popular company, originally focused on the improvement and productions of aircrafts and aircraft engines during WWI creating a great reputation for itself. In the year 1923, BMW invented its very first motorcycle and in the year 1928, the company started gaining success as a vehicle manufacturer by getting a hold of the Eisenach vehicle factory. The first motorcar of BMW was a form of the Austin Seven. This company has three different brands. They are BMW, Rolls-Royce, and MINI. 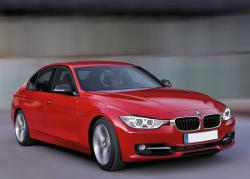 The Company's BMW vehicle range involve the 3 Series, which has a saloon, touring, convertible models, and coupe. It also involves 1 Series, a sports hatchback. Also included is the Series 5, accessible and touring and saloon models. The 7 Series has a large saloon, Z4 roadster and Z4 coupe, X3 and X5, and the sports utilization automobiles. Series 6 is also involved which is available as a convertible or couple. A large number of motorcycles are also available in the BMW brands. The company also offers seven different types of MINI. One D, One, Cooper S, Cooper, Cooper Convertible, One Convertible, and Cooper S Convertible. In the United Kingdom a luxury car known as the Rolls-Royce Phantom is manufactured. The company is located in Munich Germany and it has assembly, manufacturing, sales subsidiaries, and services all around the globe. In the year 1973, a Viennese architect, Karl Schwanzer, exposed his design for the Group head office of BMW called the "Four Cylinder". This building is located near Munich's Olympic Park and is thought to be a masterpiece. The brands of BMW stand for only one thing which is absolute driving pleasure. Exclusive quality mixed with magnificent designs, dynamic and sporting performance. The MINI brand is simply unique and it is simply just out of the ordinary. The MINI Classic came to be a trendy automobile in the sixties and ever since then it has remained quite popular. It has kept its charm since then. The Rolls-Royce Motor Cars have been a part of the BMW Group since the year 1998 and the trading started on the 1st of January in 2003. This is one of the most brilliant and popular brands in the whole world. For more than 100 years the motor cars of the Rolls Royce brand have truly stood out for their quality, outstanding designs, and reliability. 41 sales subsidiaries in the whole wide world. 10 spots in the Research and Development network in around five countries. 23 assembly and production plants in around 13 countries. 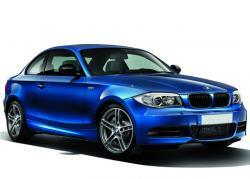 The BMW Group is considered to be one of the ten biggest car manufacturers in the whole world. Good company BMW and its cars, but price, as I think, some high and very expensive costs of service.